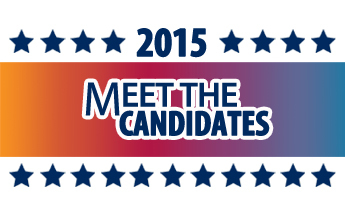 The 2015 ALA/AASL Election is quickly approaching. As many were not able to attend the AASL Candidates Forum at Midwinter, we wanted to use this public forum as an opportunity to introduce the candidates running for AASL offices. Each candidate was given the opportunity to respond to this question: If elected, what will you do to advance AASL’s new mission to empower leaders to transform teaching and learning? Read their responses and vote beginning March 24. First, I’d like to say what an honor it is to be a candidate for president-elect of AASL. The person who is elected will, in essence, serve a three-year term: one year as president-elect, one year as president, one year as past-president. If I am elected, during years one and three, I will give my complete support to the president currently in office, working with him/her on his/her initiatives to further the mission of AASL. 1. Working toward having a qualified librarian in every school: If the efforts that are in progress as I write this blog post regarding inclusion of this language in the reauthorization of ESEA are successful, work in this area may be minimal. I truly hope that this is case! As leaders in their schools, librarians transform learning and, if they are to transform learning, they first must be present. 2. 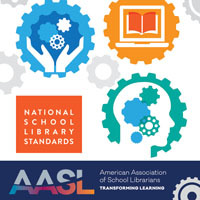 Revising and updating the AASL standards for school librarian preparation programs: These standards will soon be up for revision. In order to lead the transformation of learning in schools, those new to our profession need to be well prepared. 3. Working to ensure that all stakeholders know the critical role that school librarians play in student learning: It is critical that parents, teachers, administrators, community members, and policymakers understand that strong school librarians positively impact student learning. 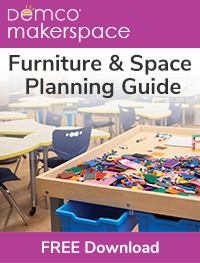 Support for libraries and librarians is support for student learning. I fully embrace AASL’s new mission to empower leaders to transform teaching and learning and, if elected, will do my best to advance it. I will take our message to the larger community that student success relies on campus librarians. AASL works at many levels: we reach out to legislators, and educational organizations; build advocacy campaigns to benefit campus librarians and state associations; reach audiences beyond the library community. But advocacy needs more than state and national leaders – AASL needs to inspire ALL our members to speak out in a variety of ways, often. Our relationships with teachers and administrators are at the core of our success, and relationships work better when good news is frequent. Find the good news and build a positive conversation. Relationships like stories seem nebulous – but for school librarians, both rely on bone deep strength and knowledge of teaching, local curriculum, information skills, technologic and digital fluency, and more. Telling a story in the lounge about student Doug who finally found a book he loves last month and now is excited to read every day, in the classroom – now that will get a teacher’s attention. Relating how student Maria found the right resource for her science project – that also speaks to what we do directly every day. Good news stories augmented by piktographs and memes of data remind colleagues and administrators of the studies confirming our importance in improved test scores. 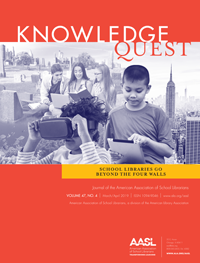 We need the leadership of AASL/ALA to help with the big strategies – but it is the foot soldiers in schools across the country who can directly connect student success to strong school libraries. I will work to win the hearts and minds of students, parents, and teachers everywhere – and encourage them to join us in carrying the message further to school boards and legislatures. Together, we will share your good news stories to illustrate how we transform learning.